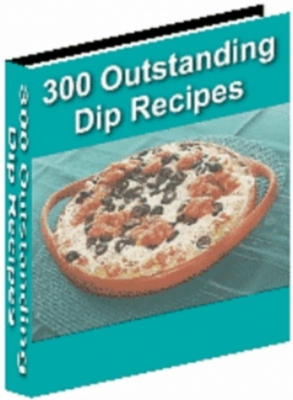 300 Outstanding Dip Recipes - Grab Extra Chips at Your Grocers! In 300 Outstanding Dip Recipes you will find dips for almost every kind of food that you can think about dipping. No gathering is complete without dip. Now you can be the hit of the next gathering with one of the awesome dip recipes you will find inside 300 Outstanding Dip Recipes.